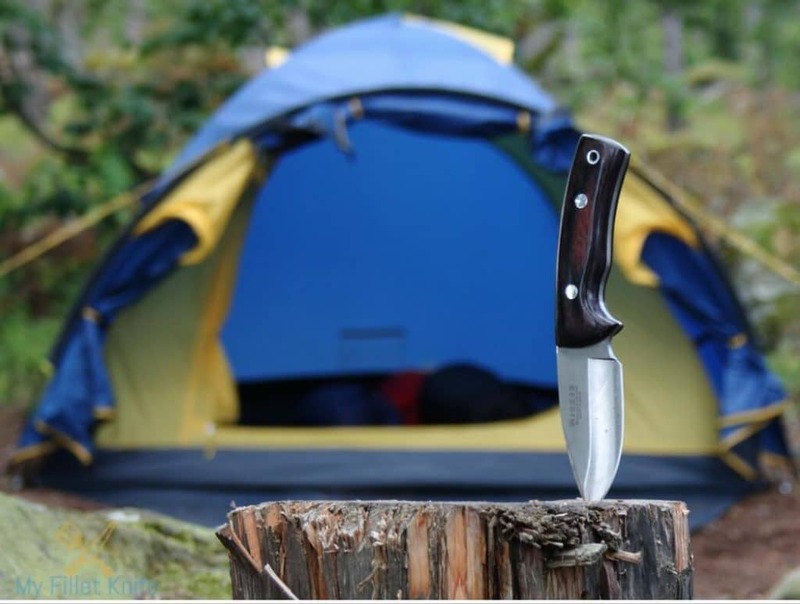 The term “Camping Knife” basically refers to either a pocket knife, Swiss army knife, big and heavy knife, or any other type of knife used for activities that have to do with camping and survival. 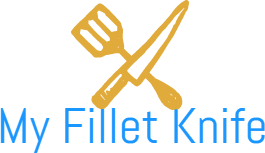 Therefore a knife for camping and outdoor solely depends on the exact purpose it is to be used for, whether as an all-purpose tool, for fishing, first aid, and protection or just for preparing food. 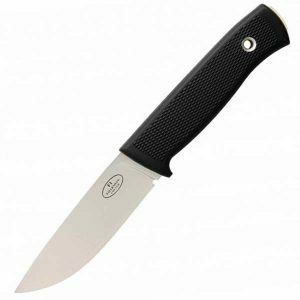 If you have tried out a range of different types of knives to find the best camping knife, to no avail then look no further as we have narrowed down the search for you. How To Choose a Camping Survival Knife for Yourself? This is a small and versatile pocket knife that is convenient to carry in your pocket and that serves its purpose effectively. A small and durable steel blade that is razor sharp. Very small and easy to keep in a pocket or handbag. Easy to use and lightweight. Comes with a Buck Forever warranty to ensure quality. 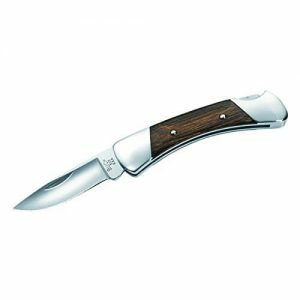 A comfortable and classic Rosewood Dymondwood handle with a nickel silver bolster. Great for light duty tasks and a small and expedient size. Also a good choice for an emergency medical kit. The wood panel attached to the two bolsters is not well fitted and feel loose. 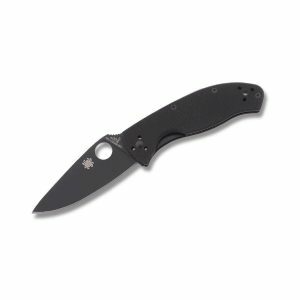 The Spyderco Tenacious straight edge is a convenient folding knife of the highest quality that is one of the best options for an all-around folding knife. Blade materials Made from the finest quality materials to improve functionality and durability. One of the most popular and trusted names in cutlery. A comfortable and sturdy handle. This product is tested for quality and durability. 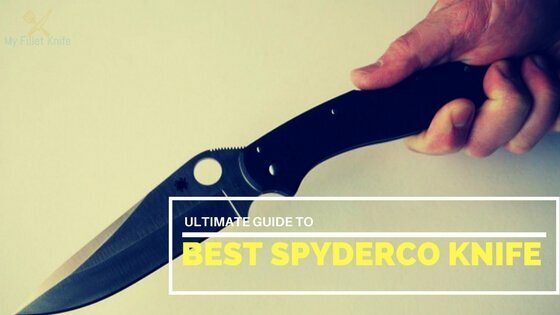 There have been some complaints that customers have received a fake Spyderco knife, so make sure that you order the genuine brand. This Buck Knives 110 is famous for Tough, durable and versatile, this is truly a winner for any camping trips. A steel clip blade with a very sharp point for more detailed tasks. A lock back design that improves strength and safety. TheDymondwood handle with brass bolsters is sturdy and comfortable to handle. Included in the package is a genuine leather sheath with a snap closure so you can carry the knife on your belt. The hinge and lock are said to be gritty and stiff. Not well finished off like older models from this brand. You can prepare food, even dress a deer with this exceptional Canadian belt knife made from cold steel. A thick and durable blade. The handle is made of high impact polypropylene. A spear point blade for more versatile use. Good quality for its price. Not suitable for heavy cutting. The handle is small and slippery. The Benchmade griptilian with its coated finish and drop-point style blade is lightweight and durable making it the perfect knife for camping and the outdoors & considered one of the best ultralight top outdoor knives we reviewed in this post! Very lightweight because of the drop-point style blade. Made from long-lasting and durable materials such as Glass Filled Nylon and stainless steel. It has an innovative Axis mechanism for more durable and convenient use. A very strong and versatile knife. The handles are not of the best quality. Not the best value for money. By far the best camping knife for survival. The Victorinox Swiss Army pocket knife is all you will need for a camping trip as it contains all the tools and equipment in one multi-tool. This knife includes a blade, a file, screwdriver, scissors, key ring, tweezer and a toothpick. You can fit it comfortably in your pocket or on any key ring. Great craftsmanship and quality as with any Swiss army knives. A trendy and fashionable American Flag design. The perfect option for a gift. A flawlessly crafted knife, the FallKniven with Thermorun handle and sheath is a true trooper when it comes to knives for camping. A medium sized knife for many different tasks with an extremely sharp blade. Very sharp and symmetrical blades. A convenient and easy to handle size. Comes with a functional Zytel sheath. Laminated VG-10 steel used in the blade. Lightweight and easy to handle with its convenient medium size and shape. Cheaply made retaining strap and nylon. Some have reported chipping, rusting and pitting of the blade. Definitely the best cheap camping knife. 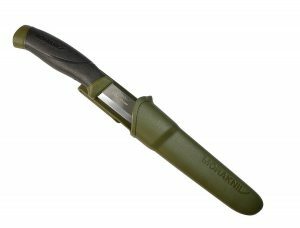 Made from stainless steel with a patterned high-friction grip, you cannot go wrong with the Morakniv Companion as an outdoor camping knife. The fixed blade is manufactured from hardened Sandvik 12C27 stainless steel for versatility and strength. Comfortable and easy to hold with the patterned high-friction grip handle. Comes with a color matching sheath and belt clip for convenience. Affordable price for excellent quality and craftsmanship. Some of the knives received seemed to be defective and chipped. The Opinel Carbon Blade Folding Knife is a convenient and safe knife for camping that performs many functions. Very sturdy and comfortable to handle. A tough and durable carbon steel blade. The hardwood handle is comfortable and easy to handle. Safe to use with the stainless steel locking collar. The locking collar also prevents accidental opening. A simple and sturdy design for maximum utility. 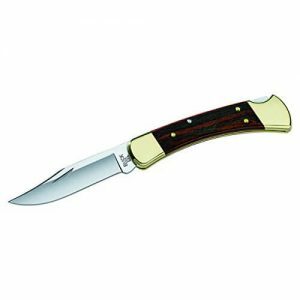 Buck 110 Famous Folding Hunter Knife with Genuine Leather Sheath. The blade will rust quickly if not taken care of well. Carbon steel is a bit flimsy. Has to be kept clean and oiled or it will rust. The Blize Tec Titanium folding knife is a premium survival gear tool for the great outdoors. A convenient pocket size, yet tough and durable with many exceptional functions. A sharp 20-degree drop point blade and mini emergency lanyard that comes with a nylon pouch. Not too heavy yet still sturdy and small enough to keep in your pocket. The handle designs ensure solid and comfortable grip. 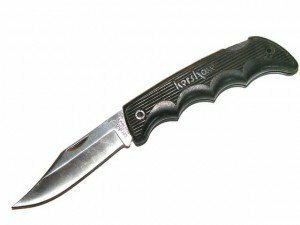 The knife has partially serrated blades and the liner lock ensures safe locking of the blade. Heat, water, and corrosion resistant. Comes with a lifetime value quality insurance. 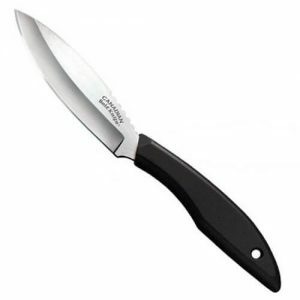 There are many knives to choose from in the search for the perfect knives for camping which entirely depends on the purpose of the knife. This knife can be any size or shape and has the main function of flipping open with manual initiation. This knife is excellent for protection when you need it fast. A large sheath knife with a crossguard, sheath carry that you can clip on and use for outdoor survival adventures. A knife that folds closed and has an added clip on the handle for easy attachment to your belt or pocket. Easy to carry with you for everyday use. The dagger is basically a double-edged knife with a central spine and a full blade length. One of your best protection knives for the wild outdoors. The machete has a long and heavy blade design. This knife is perfect for chopping through thick vegetation in the bush. This is a self-contained tool that has a small knife, pliers, drivers, files, bottle openers and much more necessities for a camping trip or everyday outdoor wilderness survival. 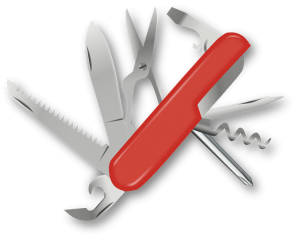 similar to the multi-tool a pocket knife contains a few folding knife blades along with a few other nifty tools. A fixed blade knife for cutting wood and larger objects to build fires and shelters, as well as for protection against wildlife. Similar to the pocket knives the Swiss Army knife has many handy implements that fold into the handle. This is one of the most popular and best quality designs in a multi-tool knife. We have chosen the Victorinox Huntsman Red 91mm as the best available Swiss Army knife for camping. A knife that contains every tool that you may require during a camping trip or even just for everyday use. Fits neatly into your pocket and carries the famous Swiss quality. This is a user-friendly, multi-functional and great quality knife which we most definitely recommend for every camping trip and even just everyday use. The top camping survival knife is no doubt the Ka-Bar Becker BK2 Campanion Fixed Blade Knife. 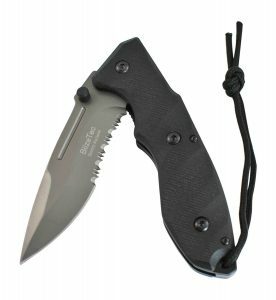 This is a heavy duty field knife with a steel full tang and hard shell black nylon sheath. Perfect for all camping chores and as the highest quality camping and survival knives. Perfect for many different functions and chores that you may need to perform on a camping trip. Also for camping knives under 100, the Kershaw Ken Onion Blur Folding Knife with Speed Safe. 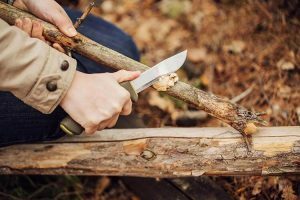 The old faithful pocket knife may not be able to perform heavy-duty functions such as splitting wood or have multiple tools such as its Swiss counterpart but it is certainly versatile when you need it and convenient to keep close by. 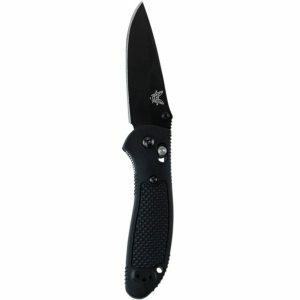 Kershaw manufactures knives that are of the highest quality using the most intensive craftsmanship. This best camping pocket knife will provide you with a lifetime of performance and quality. A knife is an essential everyday carry tool and an absolute necessity for any camping trip. Finding a good and reliable knife can be tricky as an expensive knife does not always ensure quality, there are many options both expensive and cheap you just need to know exactly what to look for. There are a few brands that stand out when it comes to utility knives but we will look at the top-rated models that should be your best choices for survival knives a bit further on. For more light-duty tasks such as preparing food, cutting trims and threads folding knives would be a good option. On the other hand, when you are looking to chop through wood and vegetation the more heavy duty fixed blade knives will come in handy. Cutting through packages and threads, slicing and preparing food, cutting meat, and chopping wood and bushes are all very different activities. You will need to choose your knife according to the activities you are going to be performing, as different functions put different demands on the blade. How will you use the knife? The task you will be performing with your camping outdoor knife will dictate the shape of the blade. You will have to choose between three different grinds on the knife, the hollow grind, the flat grind and the convex grind. What kind of knife blade steel do I want? When you have chosen a knife that is the right shape and appropriate to the task it will be performing you will also need to take a look at the types of steel is made from. You can choose from high carbon, non-stainless, super steel or stainless steel blade, the choice once again depends on the task the knife will be performing. What do I want the knife to look like? Lastly, the appearance and size of the knife should also be considered. Do you want a small folder knife, a Swiss army utility knife, or a large camping hunting knives that you can attach to your belt? Keep in mind convenience and the space you have to keep the knife. The trick is in knowing exactly for what and how you are going to be using your survival knife. If you have that pegged down then you will easily be able to find the best outdoor knife for yourself! There just is no camping without an outdoor knife. You will need a top quality camping and survival knife for every aspect of your camping trip. Whether it’s peeling fruit, cutting through meat or just sharpening a stick to cook marshmallows, in the preparation of food a knife is essential. Cleaning the fish you just caught and preparing it for the fire will also come in handy with a sharp camping and outdoor knife. Opening packages are also much easier with a good knife. Also, this type of knives comes handy as a fire starter when camping. Cutting the line, removing hooks, a good knife is always useful for fishing. Some fishing knives such as utility knives come with tools such as pliers and bottle openers which also come in handy for a fishing trip. This one couldn’t be more obvious for a fisherman. Removing splinters is easier with a multi-tool camping knife. You may have to cut bandages or fashion a tourniquet where you will benefit from the top camping survival knife. It’s easier to Cut wood for fire with a large camping and survival knife. Cutting through thick vegetation for a path, or to make a shelter. To slow down a human attacker any knife will come in handy. You can protect yourself against wildlife with a camping survival knife. The BlizeTec Titanium Folding Knife with G10 Handle we will truly add as one of the best camping knives, it is a convenient size and a safe and versatile option that can cut through almost anything. 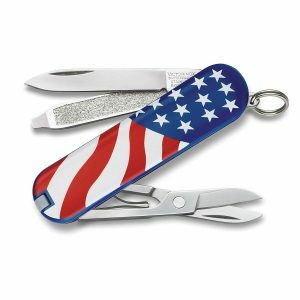 The Victorinox Swiss Army Classic SD Pocket Knife, American Flag,58mm may not be the toughest knife but it has many very functional and much-needed tools for any camping trip and because of its small size can be kept on a keychain or in a small pocket. We are ending with the Buck 110 Famous Folding Hunter Knife with Genuine Leather Sheath, a true gem for any hunter, camper or outdoors enthusiast. It is tough, versatile, and sharp, and comes with a durable and great looking sheath. There is a knife for every task you may find one that is versatile enough for all your camping needs or need two different styles for different tasks. Whatever may be your preference these knives are top branded high quality, functional knives that will stand the test of time. Hi this is Patricia Smith! I am a 30 year old mom blessed with two Beautiful children! I love cooking & this blog is a small effort of mine to guide others on a healthy cooking habit. what is the blade thickness and is there steel liners under the g-10 handles? Today I bought a Benchmade – Griptilian 551 and I love it! Thanks Patricia, I saw this knife in your post for the first time. And I felt for it. Glad you liked my post! Hi, Patricia. Your writings are always awesome and I never miss a piece of your writings. What do you think is best knife to use for camping on a budget? Thank you for the kind words! I would suggest you to go for the Morakniv Companion if you are looking for a knife on a budget. 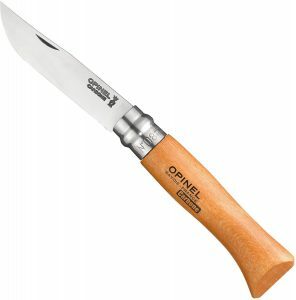 Does Opinel Carbon Blade knife have the “beach wood” handle or the hardwood handle. And if so, what’s the difference? How long is the blade? Can this be a self defense pocket knife? Someone please answer my questions. I wants to buy one. Thanks for writing such a good article, I’m a travel lover and I do camping a lot with my family and friends. I stumbled onto your blog and read a few post. This one helped me to choose the perfect camping knife for camping adventure. Does this carbon blade rust easy? and if so how can i help prevent rusting? Looking to buy one, so please answer the question. BlizeTec Titanium Folding Knife is an excellent folding knife with a locking blade. The knife when closed is 5 inches long and the blade is 3.8 inches long. The blade is made of #3CR14 stainless steel and titanium ion coated to improve the corrosion resistance of the blade. Not if you wipe the blade after you use it. I use mine to cut apples and oranges, I wipe it with a damp paper-towel, no rust. If you use the knife regularly, rust will not be a problem. Just from cutting up fruit, the blade on mine is turning grey, I have read that the tarnish helps to prevent rust. Hi, Kale! All of the carbon steel blade Opinels such as the one you are asking about have a stained beech handle. The plain stainless steel blade models use an unstained beech handle. Some of the stainless models use other fancier woods such as olive, walnut, bubinga, or oak. These models will be identified as to which wood, and will be somewhat more expensive. All of the different woods work great and are durable. Only pay more for the “exotic” woods if you like the look and are willing to pay more. Personally, I prefer the carbon blades which only come with the stained beech handles. They are easier to sharpen than the stainless blades, and seem to be able to be sharpened to an even finer edge. They will rust, however, if you don’t clean and dry them after every use.